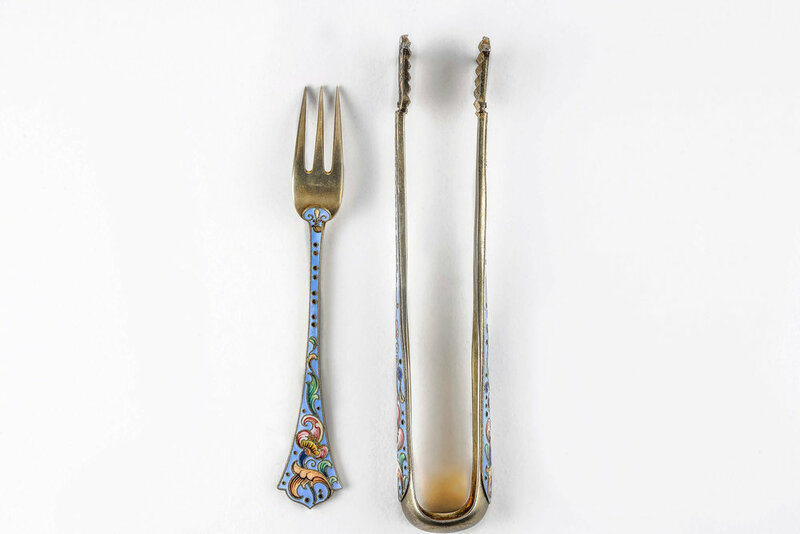 Antique Russian silver 84 cloisonne shaded enamel matching tong and fork set by Feodor Ruckert. 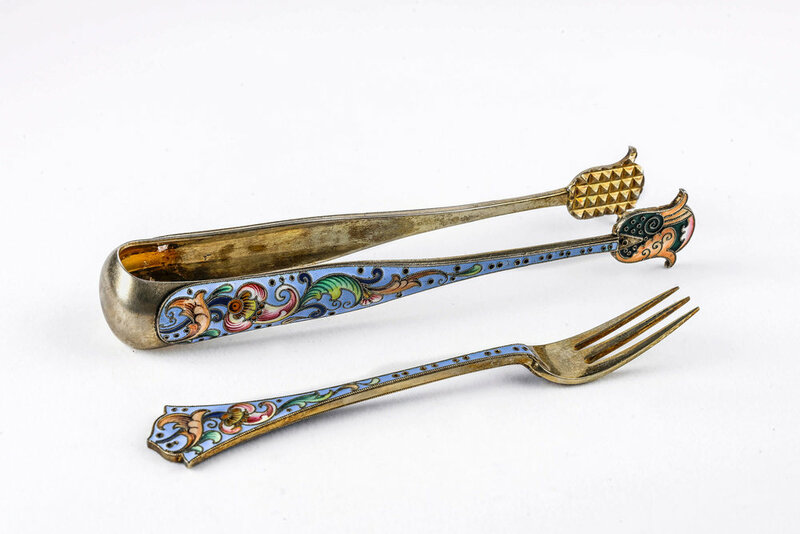 A beautiful antique Russian silver 84 cloisonne shaded enamel matching tong & fork set by Feodor Ruckert. Length of fork is 5.125 inches. 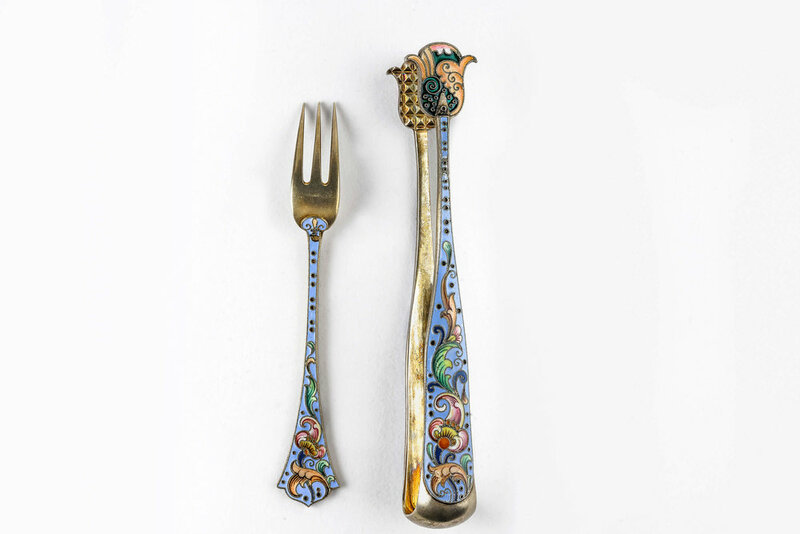 Weight of fork is 22 grams. 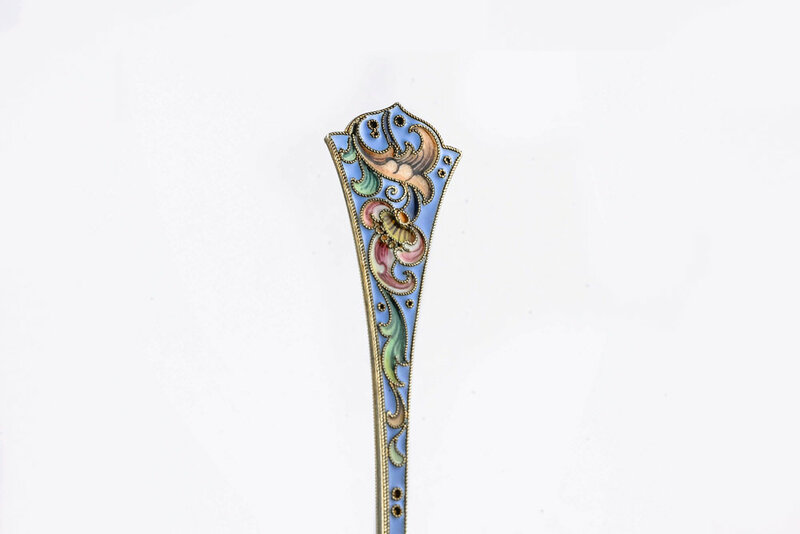 Length of tongs is 6 inches. Weight of tongs is 68 grams.